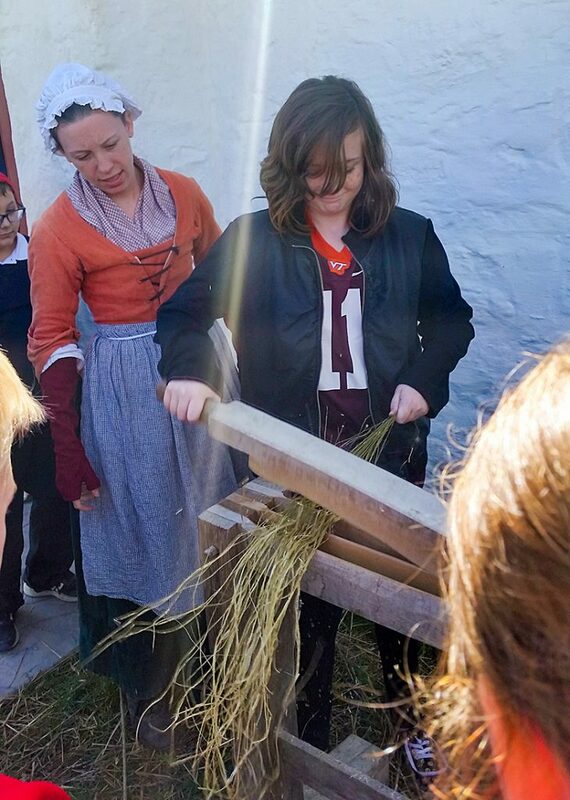 On October 11, Mr. Cooper’s fifth- and sixth-grade class visited the Frontier Culture Museum in Staunton, Virginia. 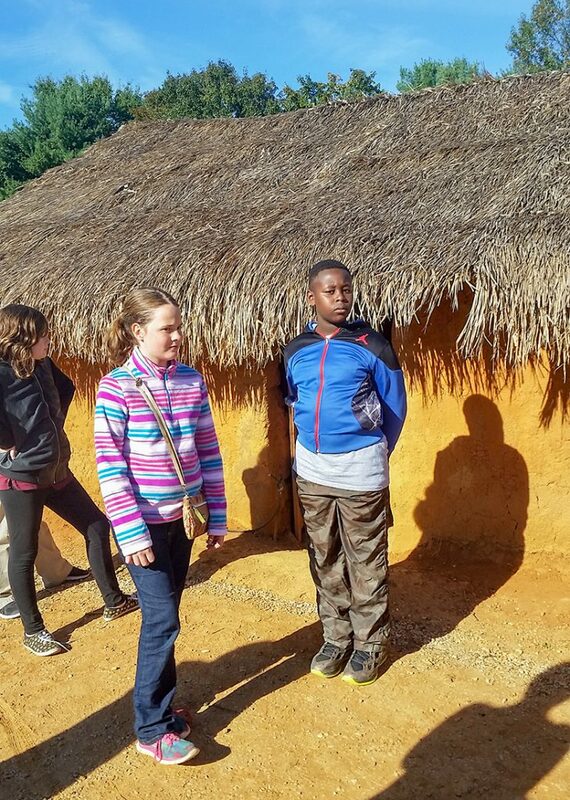 The students got to see dwellings of some of America’s earliest immigrants. 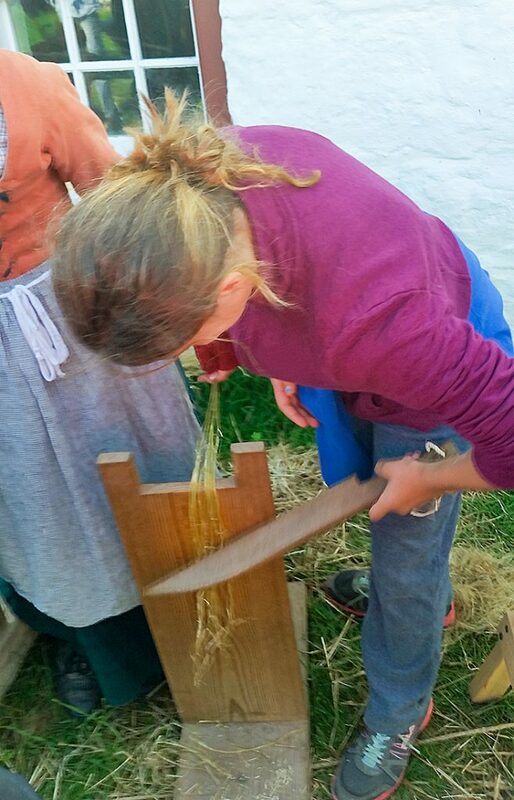 We learned about their lifestyles that were based on both habits formed in the lands they originally inhabited and necessary lifestyle changes the immigrants made in order to survive their new lives here in America. 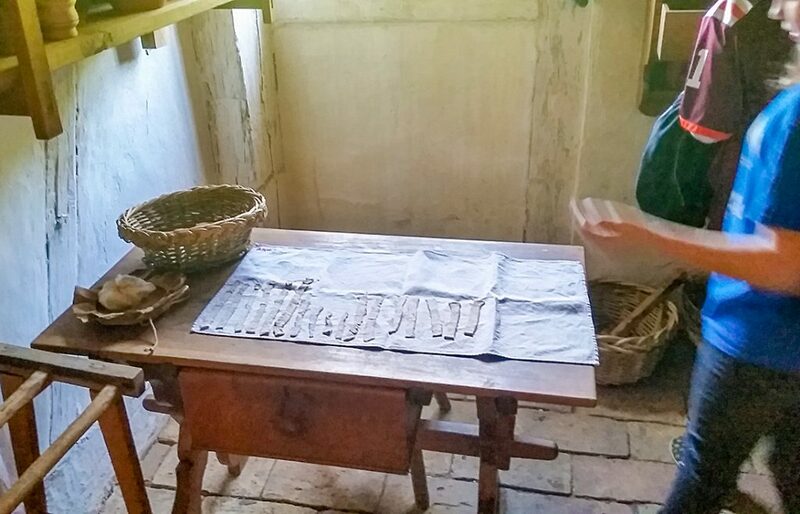 The various immigrants brought their language, skills, and culture with them to Colonial America, including to the Valley of Virginia. Many immigrants did not know the English language. 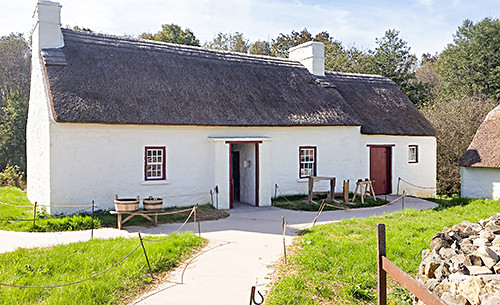 However, the English language became dominant because of all the English colonies formed in the 1600s, such as Jamestown, and because it also came from the largest cluster of immigrants who settled the “backcountry” of Colonial America—over 100,000 people—who emigrated from the British Isles and became known as “Scotch-Irish” because of their ancestry. 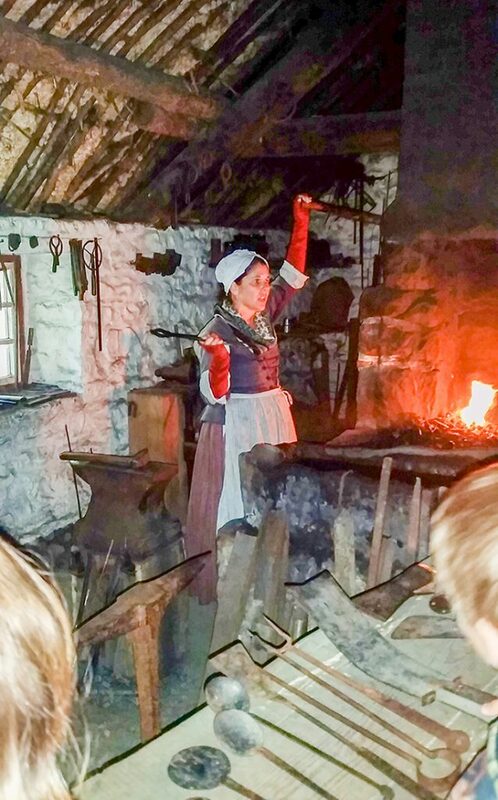 Some of the exhibits that our group saw included a West African farm village, an Irish forge (where metal tools were made and repaired by blacksmiths), an Irish house and farm, a German home and farm, and an English village. We also saw a Native American village. 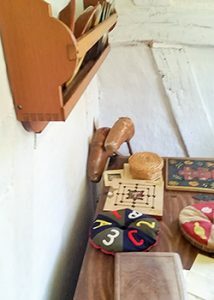 One of the exhibits that made us laugh was the American schoolhouse from the 1840s. It didn’t look anything like our classrooms today! Outside of it were games for us to play. On a more serious note, we do know that the founders of America did believe in the importance of education for their citizens. 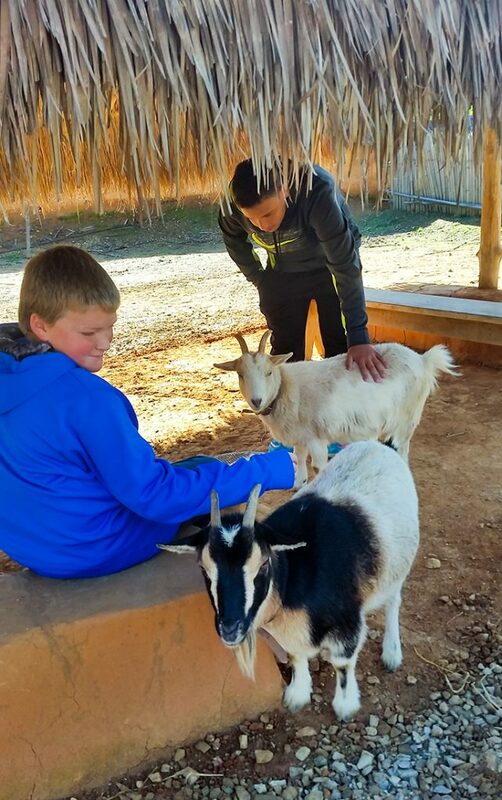 This field trip to the Frontier Culture Museum allowed us to enjoy hands-on experience with the history we have been learning in the classroom about immigration, building materials, and foods. 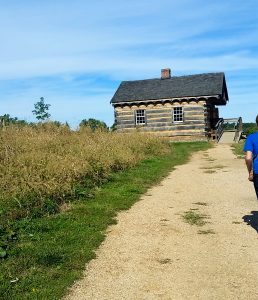 We hope to go back for another visit sometime to see more of the Frontier Culture Museum and their other exhibits from later in American history. 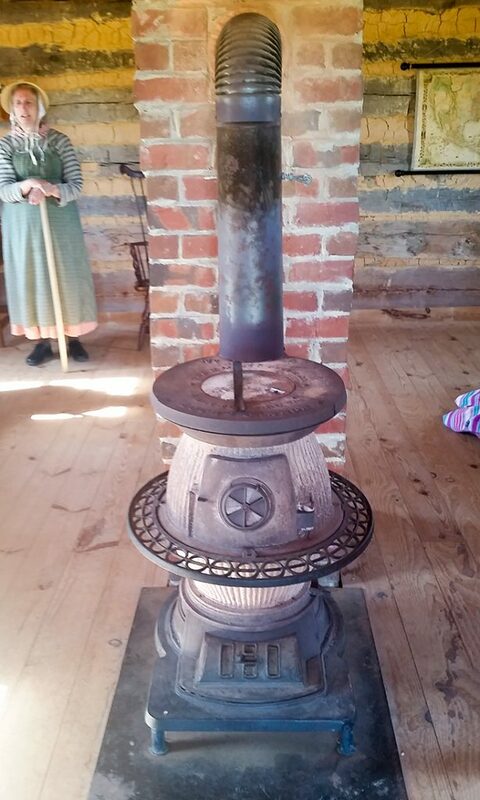 You can learn more about the Frontier Culture Museum at http://www.frontiermuseum.org.